Thank you for submitting your item for appraisal. 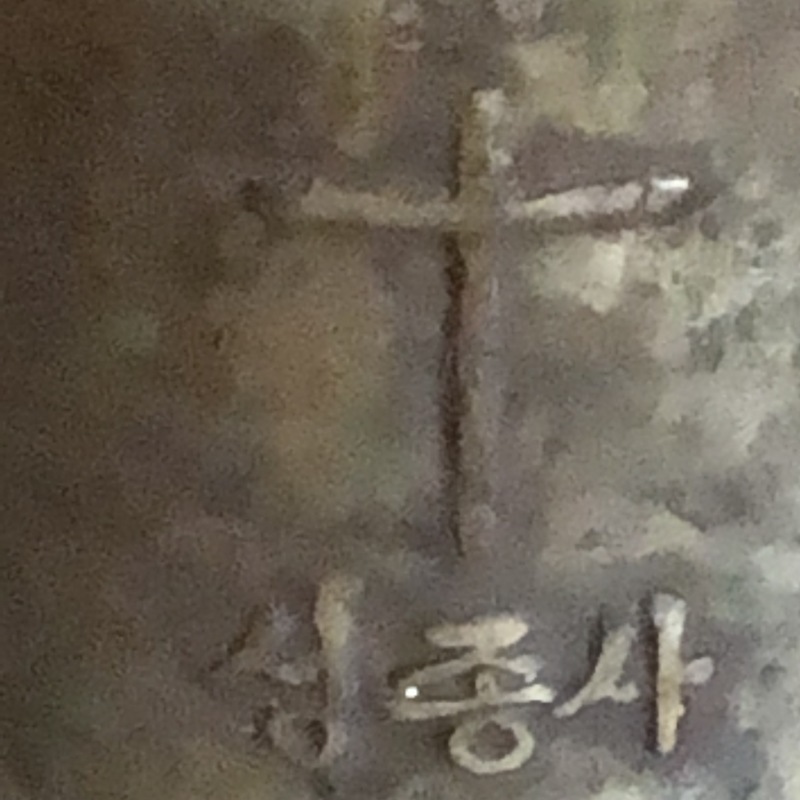 This appears to be a first half 20th century korean church bell, cast in the lost-wax technique, cast or forged iron loop, bearing the cross in relief and writing in korean. These western style church bells are rather common. The estimate is based on similar size bells actually sold at auction. There is no measurement for the sentimental value you might attch to the item.